Most fans of American football know what a two minute warning is. A whistle is blown to signal to both teams that there is only two minutes of time left in the game in which to play. One would have to be living in the farthest areas of the most uninhabited region of this planet not to be aware of actions taken by the United States of America through the United Nations last week against the nation of Israel. We have heard prognosticators, agnosticators, and commentators speak on this topic, adnaseum. Everyone has an opinion. How much thought have you given to this? Perhaps you are sick of hearing about it. This is not the end of this subject. The question to ask at this point is: for which team do you play? The two minute whistle has been blown. Did you hear it? Do you realize that a finite amount of time, preset and determined by God Almighty, is left in which whatever you choose to do with your life will be done. Make it count. Your eternity depends upon it. If one only listened to the "real news" (ahem), one would be led to believe that the Nation of Israel hates Arabic residents living within it's boundaries. Israel is the aggressor - always. Israel is racist. Yet, none of this is true. Israel has always defended itself. It has that right. All nations are against that tiny nation. It has become the burdensome stone. The nations spoken of in Psalm 83 are and have been "confederate" (of one accord or goal) against Israel. That is to wipe it from the map. And, Psalm 83 describes the meetings, the plans and the goals of these. One would believe all manner of lies if one didn't have the ability to research the truth. It is always best to educate oneself with the facts before making assumptions. Prior to World War I, Europeans of Hebrew ancestry began to pool their money and with the approval of the leader (Islamic Caliphate) of what was once Israel, for their ancestors resided there for some two thousand years before they were dispersed to other parts of the world for various reasons. It was agreed upon by all parties involved (and no, the UN had no say). There were large swaths of land, primarily in Judea, Samaria, what is now Tel Aviv, and areas that were available were purchased with private money. Families began migrating (with the approval of those residing in the area at that time. It is important to note here that there were less than 400,000 people identified as "Arabic" residing in all of that area at that time) back to their ancestral homeland. This is even spoken of by the prophets in God's Word. Amazing, that book. 100% accurate - so far. Events unfolded soon after this event that triggered World War I. Historical records prove that the Vatican (though it was not an "official sovereign nation" yet, Mussolini made it a nation) was a big player in provoking that war in an attempt to stop the migration of those of Hebrew heritage back to their rightly-purchased land. Many were stopped from leaving various countries in Europe in which they resided. Then we had the entrance of one Adolph Hitler who was elected by a landslide in Germany. He ran on a platform of change and of new hope. Sound familiar? The atrocities that the Third Reich performed involving the Jewish people were attributed personally by Hitler to Christianity, particularly Luther and Jerome, who were well-known as anti-Semite (and that is putting it nicely). They hated "Jews." He said, Let all Jews be exterminated that the world would be "Judenfrei" (Jew free). Let that sink in. This is a fact. Some things haven't changed much at all. As in the days of Esther when Haman plotted to annihilate her people, her bravery and courage to call for a fast of all her people and to go before the King (without being summoned, putting herself possibly in a situation that could have been resulted in her death), the Queen bravely petitioned the King and told him of of the plot. Behind these scenes was the "real story." Examine the Book of Esther. Through Haman, the father of lies manipulated the ignorant King Xerxes into a hatred of the Jewish people. Haman then tricked the King into writing a murderous decree to eradicate the Jews everywhere on a single day, killing them mercilessly. (Esther 3:13). The evil one, the prince of this world, has been plotting for over 5,000 years to do away with the possibility of the promised Messiah being born, of eliminating the ancestral lineage He was to be a part of, and using anyone and any event possible to thwart Almighty God. Like outsmarting Him is even a possibility. He has but a short time left and he knows this. He is pulling out all stops to do as much damage to the Kingdom of the Almighty as possible. Are we going to stand by and keep our mouths shut as this is done? Not this writer. But, Queen Hadassah (Esther) was put there, as Mordecai told her, "for such a time as this." The plot was foiled and Haman was hanged on the very gallows intended to be used on Mordecai, whom Haman hated. By the way, it is said of the origin or meaning of the name Hadassah is from the Hebrew word hadas (Heb. äãñ), a myrtle tree from the Myrtaceae family. The myrtle has a pleasant fragrance. Because the righteous are called myrtles. As it states in Zechariah 1:8, "And he was standing among the myrtles [the righteous prophets Chananiah, Mishael and Azariah]." Just as a myrtle has a sweet smell and a bitter taste, so too Esther was good and listened ("sweet") to the righteous Mordechai, and was adverse ("bitter") to the wicked Haman. Could it be that we who have our eyes and ears opened and who harken to the voice of the Almighty God are too put here for such a time as this? The Hebrew people (the word "Jew" is meant as a slur, it refers to the Tribe of Judah as "Jew" but all the same is a nasty anti-semite slur and to set the record straight, it should not be used at all) have been the most hated, the most discriminated people in the history of the world. In the United States, we hear all about the discrimination of those of color, the black people. But, even the Native Americans had their property stolen, were dispersed (and never returned) and every effort was made to erase their heritage. The Hebrew people have suffered worse than this. So, why is it that the governments of the world and especially the government of the United States of America has taken a stand against the tiny Nation of Israel? It does so at it's own peril. It puts the entire nation of America in great peril. Samantha Power, US Envoy to the United Nations stated, "The settlement problem has gotten so much worse one has to make a choice between settlements and separation." A choice between settlements on the very land which belongs to Israel? And by what authority does the UN dictate to Israel what it can and cannot do with it's own land? People of Arabic heritage now live within Israel. They live within the Old City of Jerusalem. There was never any question nor was it ever any question as to whether Israel would allow this to continue. It was and is Abbas who has stated that there will be "No Jew living in the West Bank." Yet, Israel has never stated there would be no Arab living in Israel. This is a plan so nefarious and deceptive that only Satan could be behind it. Still, he and those doing his bidding are on the losing side. The land in question belongs to Israel. There is no reason the Nation of Israel should be told how or if it can be used. This land was Israel's for over 2,000 years and it actually is the land belonging to God Almighty, the God of Abraham, Isaac and Jacob. It was on Mount Moriah that Isaac was taken to be a sacrifice and it was there that the ram was provided instead of Isaac. King David purchased the Temple Mount with his own money so that, as was commanded by God Almighty, for it was the Mountain of the Lord. By what authority does the UN or any other nation have to usurp ancient historical facts? To usurp the very Word of God? It does not. No one does. Not even Israel itself. It is about the land. And, that land was never to have been given away, sold nor conveyed to anyone save the tribe to which it was allotted as each of the 12 Tribes had their own allotment of land. One can find this proclamation in the Torah, or the first five books of what many call the "Old Testament." For the first time in history, the United States of America manipulated the scenario that unfolded with Egypt making the motion for the vote, then withdrawing it, and then asking for the vote and the U.S. abstained. There are severe implications for doing this. Congress should defund the United Nations immediately and kick it's headquarters out of New York City. This is just the beginning of what should be done. Where are the voices of outrage from "the church"? From leadership of the United States of America? The silence is deafening. With the League of Nations (now the United Nations) Resolution 181 the nation of Israel was created. There was to be a separate Arab state and a separate nation of Israel. It was to happen in two stages. The country of Jordan did not exist at the time but that was the second state. And this was to be the beginning of manipulation by world governments that have divided up the land for gain. Israel is not the beneficiary of this gain. It is those nations doing the dividing. There are strong warnings to those nations who do this. God will not be mocked. UN Resolution 2334 was passed with thunderous applause from the heathens present who passed it. This action goes beyond stopping settlement building outside the West Bank. It gives East Jerusalem, the entire "Old City" to the West Bank and to the "Palestinians." Read that again. Israel will no longer have the ability to rule it's own nation from it's own capital city of Jerusalem. All Jewish living there in the Western Bank will be evicted because Abass stated he wants a "Jew free West Bank." (See Hitler's remark about this same topic previously in this commentary). The Kotel, or the Wailing Wall will be considered Palestinian. No longer will the Jewish people be permitted to go pray at the wall, to offer thanks, prayer, celebration or visit this wall during the Appointed Times of Almighty God, His Feast Days. By spitefully directing this action, Barak Obama, America is blatantly rejecting God. He cares for all people but those who reject Him do so at their own peril. He wishes that no man perish but every man's actions and choices bring consequences that are his. Now is the time to reach out to all He puts into every Believer's path. Pray for the lost, for the prodigals, for those we don't know, for our enemies. He will use these prayers to bring a mighty harvest. Pray for the peace of Jerusalem. This is so that they will experience the shalom of Almighty YHVH and they, whose forefathers were blinded in part for our sake, will recognize the Messiah and will call, "Blessed is he who comes in the name of the Lord." Yeshua (Jesus Christ) is returning much sooner than anyone realizes. Never mind what your pastor may be saying. And, the church is not ready for this event. Examine yourselves, your lives, your motives, your faith, your walk, and make all changes now to be in line with the will of Almighty for your life and for His purposes. This is not about us folks. It is all about Him. No matter what any preacher, teacher, pastor, baker nor pottery maker says, it is never about us. As this writer has previously documented, the Vatican is behind all of this. All holy sites were given to the Vatican by Shimon Perez and now, under the guise of helping the Arabs, the Vatican has taken control of Jerusalem. Israel is is the very same predicament as it was in the days leading up to the birth of the Messiah. This time, however; His return will bring very different events. Rome (Edom/Esau) will not fare well. The late Barry Chamish and Joel Bannerman wrote extensively about the subversive actions of the late Perez and also revealed his Jesuit roots. He was a traitor. For those who call themselves "Christian" who stand against Israel or who are part of religious organizations that stand against Israel, you are standing against Almighty God. The church never replaced Israel. You are either for God or against Him. You cannot have it both ways. Choose this day whom you will serve for your eternal destiny depends upon it. Do not think for one second that your unholy actions will be overlooked nor will go unpunished. God's Word documents exactly how He is going to handle the nations as well as individuals who do this. You are not exempt. Mark this warning now. All who are behind this evil will be punished. All members of the UN, of NATO member nations that are now amassing troops in Syria, parts of Iran, and in Turkey. You are being lured into that place and Almighty God will destroy you. This is spoken of in numerous places of His Holy and Infallible Word. Those who are standing against the Nation of Israel are standing against the One True God. All roads do not lead to "God" as is being preached by the Jesuit leading the Vatican. Yeshua (Jesus Christ) was not a failure, you call no man "Father" save the one Father who is in heaven (hint: it is not the pope). That organization serves satan. Those things Almighty God calls abominations are still abominations and no document written by the Vatican will ever override the Will nor the Word of God. This writer does not wish to offend any practicing Catholics but the time to play patty-cake is over. The time to play church is over. Get serious or face the music. There will be no excuses on that day. Remember the entire Chapter of Matthew 7. Will He say to you, "Depart from me you worker of lawlessness for I never knew you?" More will come and many prophecies are being fulfilled and much is being revealed in this day. Watchman around the world are sounding the two minute warning. Make sure you are on the winning team. Run the race and finish strong. The finish line is ahead, it is within sight. Do not allow yourselves to be deceived. Wake up from the strong slumber. The great deception is here. The two minute warning has sounded. Time is up. "We, the police, are very involved in strengthening the mitzvot (Bible commandments) between man and his fellow," announced Alsheikh at the gathering. "When the Messiah comes, everyone will want to [approach] him so it will get very crowded," predicted the commissioner. "That will be a time when we will have to be very strong in respecting our fellow." In describing the very important role the Israeli police will play upon Messiah's arrival, Alsheikh said to the joyous Hasidim gathered, "Not only are we busy enforcing the law, we also try to enact preventative measures [regarding] how to strengthen mutual consideration for our fellow." The 19th of Kislev is considered the New Year of Hasidut by many Hasidic Jews, commemorating Rabbi Shneur Zalman of Liadi's release from prison in 1798. Rabbi Shneur Zalman is considered by many to be the first leader of the Chabad movement, a group dedicated to Jewish outreach and tightening the bond between mankind as commanded by God. The commissioner's message and its strong connection to the Chabad movement and Hassidut was well-received by the revelers. The police force's mission to focus on the Biblical requirement of 'love your fellow' is timely indeed. The holiday of Hanukkah, which ended on Sunday, commemorates the Maccabees' victory over the Greeks and their triumph over the Hellenized (assimilated) Jews. At the time, Israel was torn apart by conflict: there was rampant hatred between the Jews, to which rabbis attribute the destruction of the Holy Temple. "There is no doubt that happiness and serving God will bring us closer," Alsheikh said at the gathering. "Soon, God willing, we will need to start preparing for the security operation necessary upon the arrival of the Messiah." A senior Israeli defense official said that the IDF is cautiously optimistic about making it through the coming year without having to conduct major combat operations, unless a preemptive strike against the Lebanon-based Shiite terrorist organization Hezbollah becomes necessary, Defense News reported on Monday. "The probability for war in 2017, generally speaking, is low," the official said, but with a caveat: "Due to the dynamic of escalation, we might find ourselves in [one]." The official told Defense News that Israel needs to calculate its moves very carefully, as it is facing threats from Hezbollah in the north, Hamas in the south and the Palestinian Authority in the center, as well as from far beyond its borders - the regime in Tehran. The official explained that each of these fronts is volatile, and require close attention. He said that though the most likely source of instability will come from the PA in the West Bank, and that the most easily ignitable conflict is with Hamas in Gaza, the strongest force Israel faces is Iranian proxy Hezbollah, which has been fighting in Syria on behalf of President Bashar Assad. He said that this was the case despite Hezbollah's having suffered mass casualties during the Syrian civil war, which began in 2011. He estimated that even after losing some 1,700 fighters in battle - and having another 6,000 or so wounded - the organization has approximately 8,000 personnel in Syria today. Nor, he said, has Hezbollah stopped its military build-up against Israel. "We don't want to wait for the first day of the war [before taking action], he said, and since Hezbollah chief Hassan Nasrallah speaks almost every week about the day they will conquer Israel...why wait? Why give him a feeling of being strong enough?" The official concluded that Israel's main worry was what will happen when Russia and other states leave Syria, leaving the stage open for Iran and Hezbollah to grow more confident and powerful. That, he said, "will not be a good end to this story." As The Algemeiner reported on Sunday, Hezbollah has flatly rejected the Moscow-Ankara-brokered Syria ceasefire deal - which was approved unanimously by the UN Security Council on Saturday - over Turkey's insistence that all foreign fighters exit the war-torn country, even before peace talks begin between Assad and rebel forces. The last time Israel went to war against Hezbollah was in the summer of 2006. During an event last year marking the 10th anniversary of the 34-day Second War in Lebanon, IDF Deputy Chief of Staff Maj. Gen. Yair Golan said that in the next confrontation Hezbollah will have four times the amount of explosive warheads with which to strike the greater Tel Aviv metropolitan area. He added, however, "We're the country best equipped to deal with emergency scenarios ...The Home Front Command has prepared directives for all authoritative bodies in Israel, and we just need to make sure that everyone does his job seriously and as planned. Israel has an early warning system unparalleled in the world that lets civilians know what to do." President Barack Obama sprang his much-anticipated "December surprise" on Israel at the United Nations, capping off 2016 with a bang as it relates to the Gregorian calendar year's major events surrounding the Jewish state. The Obama administration chose to abstain from a Dec. 23 vote on a United Nations Security Council resolution condemning Israeli settlement construction beyond the 1967 lines, rather than exercising its veto power to block the resolution. In allowing the passage of the measure--which demands that Israel "immediately and completely cease all settlement activities in the 'occupied' Palestinian territory, including east Jerusalem"--Obama broke with the longstanding American policy of defending Israel against one-sided resolutions criticizing the Jewish state in the world body. America's U.N. abstention came in the waning days of a tenuous and sometimes hostile eight-year relationship between Obama and Israeli Prime Minister Benjamin Netanyahu. It wasn't the only jarring U.N. resolution for Israel this year. In October, UNESCO, the U.N.'s cultural body, adopted two resolutions ignoring Jewish and Christian ties to Jerusalem. The measures referred to Jerusalem's Temple Mount exclusively by its Muslim names, Al-Aqsa Mosque/Al-Haram Al-Sharif. The anti-settlement U.N. resolution provided an opportunity for President-elect Donald Trump to prove his pro-Israel credentials. Egypt initially withdrew the resolution under pressure from Trump and Israel, before the measure was put forward again by New Zealand, Malaysia, Venezuela and Senegal. In November, Trump's election victory over Hillary Clinton ushered in the countdown to a new era in U.S.-Israel relations. Netanyahu and Trump will agree on at least one major issue: opposition to the Iran nuclear deal. Despite tension with Obama, Israel forged new ties and deepened bilateral relationships elsewhere. "With President Obama and the left wing of the Democratic Party turning against Israel, Prime Minister Netanyahu has made a great effort to build better relationships with Russia, India, African countries and others," said Dr. Ariel Cohen, director of the Center for Energy, Natural Resources and Geopolitics. In December, Netanyahu visited Azerbaijan and Kazakhstan, two Muslim-majority nations in Central Asia. He also visited several countries in East Africa during the summer and plans to return to that continent for visits to West African nations. "What Netanyahu is doing right now is very important, but it should have been done a long time ago. It's overdue," Zvi Mazel, the former Israeli ambassador to Egypt, told JNS.org in July regarding Netanyahu's Africa trip. In June, Israel and Turkey agreed to normalize diplomatic ties following a six-year rift in their relationship. The former allies continue to take steps toward a full restoration of ties, including December's exchanging of ambassadors, but their improving relationship may be more of an acknowledgement of regional reality than an expression of mutual admiration. Turkish President Recep Tayyip Erdogan, who once said the actions of the Israeli military constituted "barbarism that surpasses Hitler," did not walk back that remark in an Israeli television interview in November, saying, "I don't approve of what Hitler did, and neither do I approve of what Israel has done." Israel-related controversies surrounded the Democratic Party's platform process in July as well as its ongoing party chairmanship race. Sen. Bernie Sanders (I-Vt.) appointed Israel critics James Zogby and Cornel West to the party's platform committee. West is an activist in the anti-Israel Boycott, Divestment and Sanctions movement. U.S. Rep. Keith Ellison (D-Minn.) emerged as and remains a candidate for chairman of the Democratic National Committee. Ellison's bid has been met with significant Jewish opposition--including from some Democrats--due to his vocal congressional support for the Palestinian cause, his urging of increased U.S. pressure on Israel and his past ties with anti-Semitic activist Louis Farrakhan. The Republican Party, meanwhile, in July reinstated language endorsing an "undivided" Jerusalem into the party's platform, a tone that could be reinforced by the incoming Trump administration's stated intention of moving America's Israeli embassy from Tel Aviv to Jerusalem. Israeli forces killed four fighters from the Islamic State-affiliated Yarmouk Martyrs Brigade in November after the terrorists had fired at Israeli soldiers in the Golan Heights border region. The exchange drew significant attention because it was the first report of an Islamic State attack on Israel from Syria during the nearly six-year-old Syrian civil war. Earlier in the year, Israel moved to assert its sovereignty over the Golan Heights, a region the Jewish state has controlled for 50 years but which is still considered disputed territory by the international community. In April, in response to the circulation of draft talking points in U.N.-sponsored Syria peace talks that featured a call on Israel to return the Golan to Syria, the Israeli government's ministerial cabinet chose to hold its weekly meeting in the Golan in order to affirm Israel's sovereignty in the area. All the while, Israel kept a watchful eye on the activity of the Iranian-funded Lebanese terror group Hezbollah, which has been increasing its military presence near the Syrian border with Israel in order to support Syrian President Bashar al-Assad's regime in the civil war. The Israel Defense Forces estimates that about 120,000 Hezbollah rockets are aimed at Israel, but the terror group is still reportedly preoccupied with the conflict in Syria. The U.S. and Israel made history in September with the signing of the largest-ever military assistance package between the two allies, a 10-year pact granting Israel a total of $38 billion in defense aid. Yet the aid package did not come without controversy both before and after its approval. In July, the Obama administration said it opposed Congress's proposed "addition of $455 million above the FY 2017 Budget request for Israeli missile defense procurement and cooperative development programs." The Senate Appropriations Committee had recommended an appropriation of more than $600 million for Israeli missile defense in the 2017 fiscal year--$455 million above the Obama administration's request. September's eventual agreement stated that if Congress increases defense aid above what it guaranteed in the package, Israel must return the extra funds. At a New York event in November, several members of Congress called that stipulation unconstitutional because it would interfere with the ability of Congress to fulfill its mandate as a co-equal branch of the federal government. U.S. Rep. Eliot Engel (D-N.Y.) vowed to "fight every step of the way" to revoke the aid limit. One year later, the fallout of the nuclear agreement signed in July 2015 between Iran and the P5+1 powers--including the U.S., with the Obama administration brokering the deal--was met with mixed reactions. "In terms of compliance with the deal itself, I think it is going very well," Dalia Dassa Kaye, director of the Center for Middle East Public Policy at the Rand Corporation, told JNS.org in July 2016. "Basically, the bargain was Iran rolling back of key elements of the nuclear program in exchange for sanctions relief--those two key aspects of the deal have been met." Ilan Berman--vice president of the American Foreign Policy Council think tank--said that while the deal is "holding for now," the agreement has "not fundamentally changed Iranian behavior," alluding to Iran's continued military buildup, support for terrorist organizations and hostility toward Israel and the U.S. In August, Iranian state television broadcast live images of Russian-made, highly advance S-300 surface-to-air missiles being transported by trucks to the Fordo nuclear facility south of Tehran. The move by Iran to further fortify one of its most secretive nuclear sites raised doubts about the country's commitment to the nuclear deal. Also in August, it was revealed that the Obama administration had sent an airplane with $400 million in cash to Iran in January, on the same day that Iran released four American hostages. The money was just one installment of the $1.7 billion settlement--contested since the 1979 Iranian revolution--that Obama agreed to pay Iran under the nuclear deal. The months-long wave of Palestinian terrorism that began in September 2015 in Israel--commonly known as the "knife intifada" because many of the attacks were stabbings--began to wane in March and April 2016. But the relative silence was shattered April 18 when a bomb detonated on Egged Bus 12 in Jerusalem injured 21 people. In June, four Israelis were killed and an additional seven were wounded in a Palestinian terrorist shooting at the popular Sarona food and retail market in Tel Aviv. In November, a massive wave of wildfires in Israel caused an estimated $520 million in damage. For eight days, firefighters battled 90 fires in 1,773 locations, with the largest blazes occurring in Haifa. Eight-hundred of that city's apartments were rendered uninhabitable, leaving 1,700 people homeless. More than 32,000 acres of land across Israel were destroyed. Israeli Public Security Minister Gilad Erdan said between 40 and 50 percent of the fires were the result of arson, marking the emergence of a new form of Palestinian terrorism. The international community--including several of Israel's Arab and Muslim allies--was instrumental in helping the Jewish state combat the flames. Egypt, Jordan, Azerbaijan and Turkey all sent firefighting equipment to Israel. Certainly, I have to admit that there appears to be some relevance, these storms to how Israel is treated. White House correspondent Bill Koening is one Bible prophecy student who writes on these kind of weather and other occurrences with regard to, particularly, America's dealing with Israel. John McTernin is another writer on these matters that I find fascinating. We remember that close to the very first thing the president did was to snub the Israeli prime minister, leaving him after a few minutes of their meeting in the White House to go to the family's private dining quarters. Mr. Obama has continued with his coolness to Benjamin Netanyahu since that very first meeting. At the same time, Obama has made nice at every opportunity with the leaders of the Muslim world, while giving lip service to support for the Jewish state. As a matter of fact, Obama is on record as saying right up front of his eight years in office that he intended to "put space" between America and Israel. This, ostensibly, to develop better relationship with the Arab states so that there could develop a greater chance for establishing peace in the region. It was the old George W. Bush effort revived--trying to show the Muslims and the world that we were really their friends. The question to ask, of course, is: Have relations improved? No, they have grown worse. The 100 year storm to which I refer as given in this commentary's title is the international, diplomatic storm in which Israel currently finds itself. The first such storm it faced happened almost a half century before it became a nation in 1948. Israel was promised territory for establishing a nation in the region of its traditional homeland when the British issued the Balfour Declaration, written by British Foreign Secretary Arthur Balfour and issued by the government led by Prime Minister David Lloyd George. Foreign Office, November 2nd, 1917. Dear Lord Rothschild, I have much pleasure in conveying to you, on behalf of His Majesty's Government, the following declaration of sympathy with Jewish Zionist aspirations which has been submitted to, and approved by, the Cabinet "His Majesty's Government view with favour the establishment in Palestine of a national home for the Jewish people, and will use their best endeavours to facilitate the achievement of this object, it being clearly understood that nothing shall be done which may prejudice the civil and religious rights of existing non-Jewish communities in Palestine, or the rights and political status enjoyed by Jews in any other country." I should be grateful if you would bring this declaration to the knowledge of the Zionist Federation. While there is little doubt that there was a genuine desire to establish a Zionist safe haven with the declaration, it is even more certain that the action was primarily taken--in the view of most historians--to give the British access to the Suez territory for hegemonic purposes. British General Louis Bols, put in charge of Jerusalem, disliked Zionism and rather than see to it the Balfour Declaration accomplished establishment of a Jewish homeland and protected the Jews, looked the other way at the Arab atrocities. The betrayal by the British instigated a regional conflict--an ethnic storm that is raging today. And now, one hundred years later to the year, there has been set in motion another storm, instigated by Britain--and sadly--by the United States of America. The Palestinian Authority has since 2015 pushed to change the language by which UNESCO speaks of Jerusalem and the holy sites, so that they are referred to almost exclusively by their Muslim names. The U.N. and its Israel-hating membership has done all within that body's power to de-legitimize Israel as having any historical ties to the Temple Mount, or to the region, for that matter. And now the Security Council resolution condemning settlement construction in the West Bank and East Jerusalem, unopposed by Israel's allies, America, and Britain is a betrayal of the worst sort. In less than two weeks from now, January 15, 2017 to be exact, the United Nations will seek to enforce Israel to return to its pre-1967 borders by dividing Jerusalem and giving the Biblical heartland of Judea and Samaria, otherwise known as the West Bank, over to the Palestinians and establishing a two-state solution. It is important to note that the pre-1967 borders would also put Israel in a highly indefensible position against its enemies as well. As of this writing, 70 nations will be involved and this meeting will take place in Paris, France. On December 23, 2016 Resolution 2334 was passed. This move made all Israeli settlements in the West Bank and in East Jerusalem illegal, and also set the 1967 ceasefire lines as the border between the Israelis and the Palestinians. In other words, it practically handed over much of East Jerusalem to the Palestinians. It is technically now illegal for Jews to pray from the Western wall. Nonetheless, it did not recognize Palestine as an independent state. That news may be forthcoming in a few weeks as the fifteenth of January is not that far off. With the upcoming inauguration of President-elect Donald Trump fast approaching, it is also being reported that the Israeli government is gravely concerned that any guidelines agreed in Paris would be turned into another UN resolution before Trump's inauguration, and as a result of ll of this, Israel has now become the victim of an international conspiracy. Psalm 83:1-4 (NIV)-O God, do not remain silent; do not turn a deaf ear, do not stand aloof, O God. 2 See how your enemies growl, how your foes rear their heads. 3 With cunning they conspire against your people; they plot against those you cherish. 4 "Come," they say, "let us destroy them as a nation, so that Israel's name is remembered no more." Any student of Bible Prophecy should be keeping their eyes on the Middle East because this is where it all started and this is where it will all end. But to be more specific, one of the biggest harbingers of the very end of time is the establishing of a Palestinian statehood. In addition, many Bible prophecy teachers have warned that our land may be divided after the land of Israel is officially divided into two states. If what I have just mentioned becomes a fact in the next two weeks, then what we see unfolding before our very eyes is the Nation of Israel being positioned to have no other ally but Jehovah, Himself. It may very well be that we are fast approaching the tribulation period, where Israel and God's unconditional covenant with the Nation of Israel becomes the central focus of end-time events. Jeremiah 31:31-37-Behold, the days come, saith the Lord, that I will make a new covenant with the house of Israel, and with the house of Judah: 32 Not according to the covenant that I made with their fathers in the day that I took them by the hand to bring them out of the land of Egypt; which my covenant they brake, although I was an husband unto them, saith the Lord: 33 But this shall be the covenant that I will make with the house of Israel; After those days, saith the Lord, I will put my law in their inward parts, and write it in their hearts; and will be their God, and they shall be my people. 34 And they shall teach no more every man his neighbour, and every man his brother, saying, Know the Lord: for they shall all know me, from the least of them unto the greatest of them, saith the Lord: for I will forgive their iniquity, and I will remember their sin no more. 35 Thus saith the Lord, which giveth the sun for a light by day, and the ordinances of the moon and of the stars for a light by night, which divideth the sea when the waves thereof roar; The Lord of hosts is his name: 36 If those ordinances depart from before me, saith the Lord, then the seed of Israel also shall cease from being a nation before me for ever. 37 Thus saith the Lord; If heaven above can be measured, and the foundations of the earth searched out beneath, I will also cast off all the seed of Israel for all that they have done, saith the Lord. Scripturally speaking, there are two kinds of people the Bible recognizes as "Covenant," people. The first are obviously Israel and the Jews. The Second are regenerate Christians. One group is the anthropological descendants of Abraham, Isaac and Jacob. The other group, is the spiritual, or theological descendants of Abraham Isaac and Jacob, through Jesus Christ. Galatians 3:13-14--Christ hath redeemed us from the curse of the law, being made a curse for us: for it is written, Cursed is every one that hangeth on a tree: 14 That the blessing of Abraham might come on the Gentiles through Jesus Christ; that we might receive the promise of the Spirit through faith. Since the beginning of time, Satan has tried to eradicate both groups. Let's not forget that after the Rapture of the Church, Satan will direct his attentions towards Israel and the Jews. As the age of the Church comes to an end, the Time of Jacob's trouble and the salvation of the nation of Israel will become the central element in the purpose of God on earth. Israel and the Jews will be in the worst turmoil ever and the surviving remnant of the Jews and Gentiles will enter the Millennial Kingdom after the Day of the LORD comes to pass. Joel 3:1-2- For, behold, in those days, and in that time, when I shall bring again the captivity of Judah and Jerusalem, 2 I will also gather all nations, and will bring them down into the valley of Jehoshaphat, and will plead with them there for my people and for my heritage Israel, whom they have scattered among the nations, and parted my land. Joel 3:13-17-Put ye in the sickle, for the harvest is ripe: come, get you down; for the press is full, the fats overflow; for their wickedness is great. 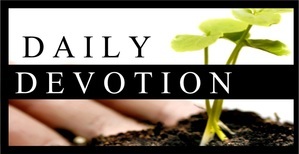 14 Multitudes, multitudes in the valley of decision: for the day of the Lord is near in the valley of decision. 15 The sun and the moon shall be darkened, and the stars shall withdraw their shining. 16 The Lord also shall roar out of Zion, and utter his voice from Jerusalem; and the heavens and the earth shall shake: but the Lord will be the hope of his people, and the strength of the children of Israel. 17 So shall ye know that I am the Lord your God dwelling in Zion, my holy mountain: then shall Jerusalem be holy, and there shall no strangers pass through her any more. We are simply running out of time. The nations of the world all have a decision to make and so do you. I pray that if you do not know Jesus as Lord, King and Savior that you will make that decision today. It's a very simple process. On Friday December 23, The UN Security Council passed a resolution calling for an end to the Judea and Samaria settlement enterprise and condemning it as an obstacle to the Israeli-Palestinian peace process. In a dramatic and historic departure from past policy, the US "president" instructed America's Ambassador to the UN to refrain from vetoing the resolution. Since occupying the Oval Office in 2009, the Islamic Marxist US "president" has steadily moved away from supporting Israel, and in turn, has bolstered Israel's enemies by supporting the Muslim Brotherhood's Arab Spring, signing a nuclear weapons-enabling deal with Iran, and destabilizing the Middle East. There are prophetic consequences. All the while, the "president" has fueled the narrative that the Russians are the bad guys. This narrative plays into a revived cold war mantra and continues fanning the flames among Christians who want to believe that Russia is the Gog of Ezekiel 38 who leads a force against Israel in a colossal end time battle. After years of study on this topic, I am convinced that Russia is not Gog. The coalition, led by "Gog, the chief prince of Meshech and Tubal (v 38:3)" are Persia, Ethiopia, Libya, Magog, Gomer and Togarmah. Ancient history and maps confirm that Magog, Meshech, Tubal, Gomer and Togarmah are located in modern Turkey. Persia is modern Iran. Libya is Libya and Ethiopia is likely modern Sudan. While Russia may be part of the invading force, it is not Gog. Neither is America, but the actions of our "president" may have placed the US in prophetic peril. The Lord says in Zechariah 12:3, "And in that day will I make Jerusalem a burdensome stone for all people: all that burden themselves with it shall be cut in pieces, though all the people of the earth be gathered together against it." Many find it hard to imagine how the US could ever be part of the nations gathered prophetically against Israel. The lame duck US "president" has crossed that line and has shown the world, and God Almighty, how this could happen by not vetoing the UN resolution. This UN resolution is permanent because of America. Americans chose a leader-not once but twice-who audaciously broke with supporting the only true democracy in the Middle East and sided with the sponsors of Islamic terrorism. In doing so, the "president" also led America onto the side of Israel's enemies and the enemies of God himself. Israel's Finance Minister Moshe Kahlon was profound in his criticism of the US "president", saying, "We've talked a lot about the significance of the Security Council resolution, but we need to take note of one thing: how our best friends in the UN turned their backs on us at the moment of truth." Indeed, it is noted on earth as it is in heaven. Fortunately, the next President vows to reverse this dangerous trend. Let us pray for our new President and for mercy for our nation. As I read the Bible, I can't help but notice how little is said about the great empires in Jesus' day. We would think there would be more in the Bible about the Caesars or the great conquests of Rome. But it's interesting to me what God did. In Matthew 26, we find a memorial we should never forget, an incredible, sacrificial thing someone did for Jesus: "Meanwhile, Jesus was in Bethany at the home of Simon, a man who had previously had leprosy. While he was eating, a woman came in with a beautiful alabaster jar of expensive perfume and poured it over his head" (verses 6-7). With His disciples watching in amazement, Mary broke open this expensive ointment and anointed Jesus' head with complete abandon. It didn't matter to her what their opinions were. All she knew was this was her Lord. Did Mary fully comprehend what lay ahead? Did she realize Jesus would die on a cross? I'm not sure. But she seemed to know more than the rest of them. She seemed to recognize that He needed to be anointed for His burial. So she gave her all. Many people today will give only what is required by God. They don't want to go overboard. They don't want to be extreme or fanatical, so they give God the bare minimum. Maybe this is one of the reasons we don't see the work of God today on quite the same scale as they saw it back in the early church. As modeled by Mary, there was a complete abandon with these first-century disciples. They were willing to take risks. They were willing to do what they could.